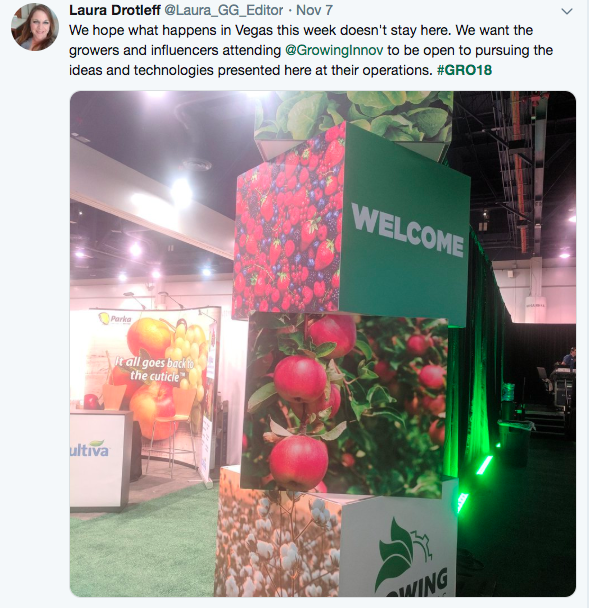 The Trellis team kicked off the trade show season by attending the first annual Growing Innovations at the Las Vegas Convention Center! 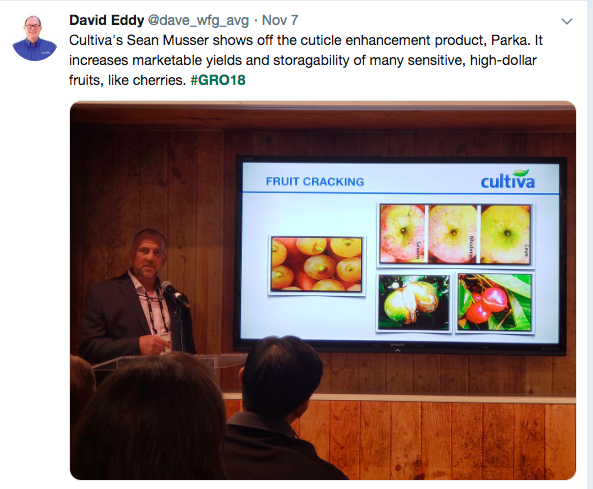 This conference did a great job of capturing the speciality crop market and exploring all the technology options available to them. Attendees included big companies like John Deere and Wilbur-Ellis, as well as growers big and small. As a speciality crop show, we saw many fruit, vegetable and greenhouse growers. Similar to other conferences, all attendees had the opportunity to listen to Keynote speakers talk about all different aspects of agriculture from labor to new technology implemented on their farm. 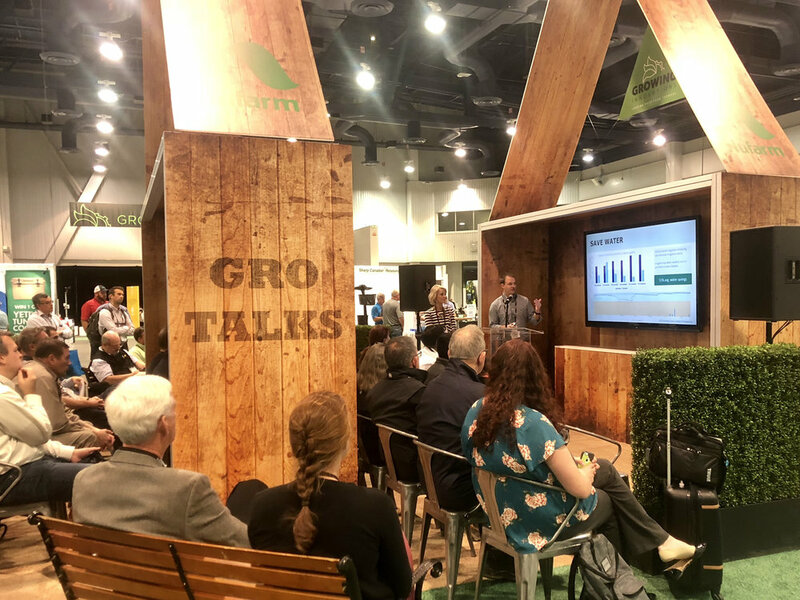 Something that really drew Trellis to attend Growing Innovations was a new offering they call, Gro Talks. 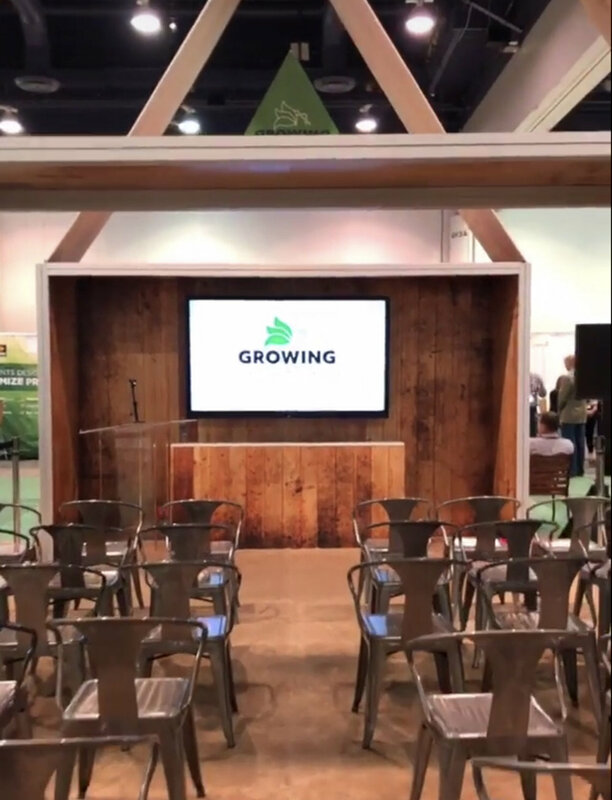 This was a space where ~20 exhibitors were accepted to give a 20-minute talk about their technology’s benefits to the agriculture industry and examples of farms using it around the globe. After their presentation, members of the audiences had the chance to ask questions. Trellis was lucky enough to be selected for a Gro Talk! Our co-founders Liz Buchen and Adam Snow did an amazing job outlining the value of using soil moisture sensors! We loved getting to meet so many people from a wide variety of companies at Growing Innovations. There are far too many to mention, but here are a few companies that we were really impressed by! AgSquared is a software platform that will help you manage your farm in a “productive, profitable, sustainable, & transparent” way. They offer countless tools that can assist in food & safety compliance, financial analytics, planning and budgeting, systems operations, and much more! Heavy Connect offers both a mobile app and web dashboard to help ensure food safety compliance on your farm. Features include geolocation, corrective actions, visualizations, and farmworker-friendly interfaces to track everything you need! Keithly Williams has been specializing in the Vegetable Seed industry for over 29 years. They sell to professional produce growers through their highly trained and knowledgable sales force. The recently expanded Keithly Williams Fabrication Division offers a wide variety of parts from many suppliers services and fabrication repairs to meet the growers needs. On this show, John and his guests describe why you have crop challenges, and how to resolve them. You will find straightforward, actionable information about growing that you can implement right away to increase crop quality, yields, pest resistance, and climate resilience -- to regenerate soil health, and most importantly, increase farm profitability. Taranis is a precision ag-tech startup who has a “full stack solution for high precision aerial surveillance imagery to pre-emptively avert crop yield loss due to insects, crop disease, weeds and nutrient deficiencies.” They identify crop health issues using areal imagery from 3 different levels and AI deep learning technology, so you can maintain a healthy farm.